What is biochemistry, molecular and cellular biology? The intertwined disciplines of biochemistry, molecular biology and cell biology are key to understanding the molecular and cellular foundations of life. A BMCB degree prepares you for immediate employment as a research technician or for entry into graduate school or into professional programs in medicine, dentistry or other allied health professions. Areas of faculty specialization include cell signaling pathways, pharmacology, neurobiology, macromolecular interactions, protein structure/function and molecular genetics. 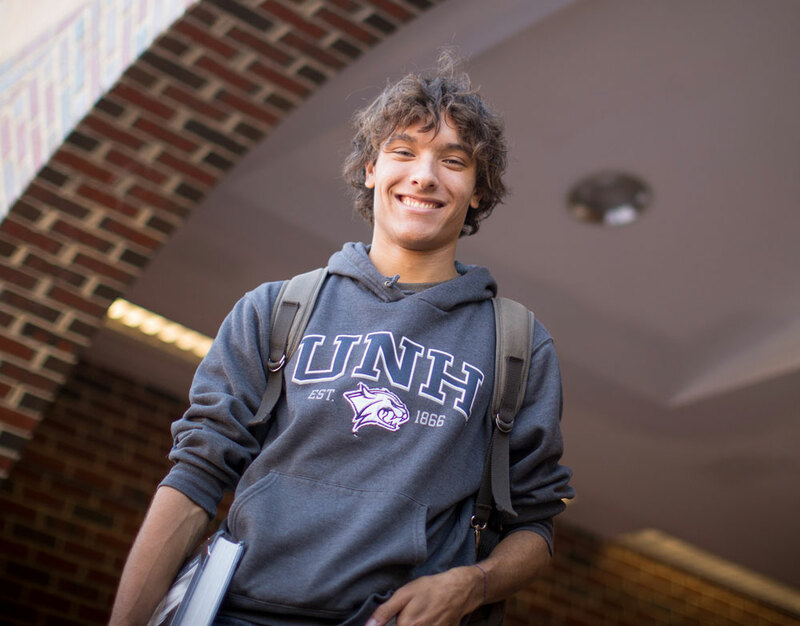 Why study biochemistry, molecular and cellular biology at UNH? The BMCB degree program provides a rigorous academic curriculum integrated with laboratory experiences to foster inquiry-based learning and to train creative and critical thinkers. Students can gain additional technical skills and exposure to state-of-the-art instrumentation by participating in independent research experiences with highly respected faculty and their collaborators around the world. The BMCB major is designed so students can in four years complete all the prerequisite courses needed for admission to graduate schools or health professional schools. Graduates are well-prepared for employment in biotechnology and pharmaceutical companies, hospitals or academic labs. An accelerated five-year program to earn a combined bachelor and master's degree in biochemistry is also available for students who qualify. 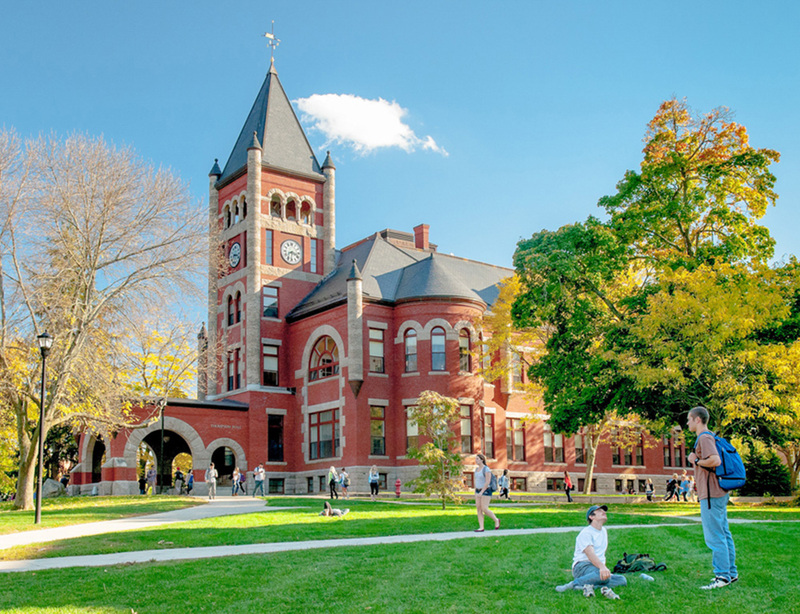 As part of the University of New Hampshire’s Discovery Program requirements, all students must complete a Capstone experience. This accelerated five-year program leading to a combined bachelor and master's degree in biochemistry is designed for highly motivated and qualified students seeking additional training to further their career goals as a researcher in the life sciences. Admission to the combined degree program is highly competitive. Students wishing to pursue this option must have a grade point average greater than 3.2 at the time of application. A thesis advisor must be identified during the junior year, and the approval of the advisor must be obtained. Prior to the first semester of the senior year, the student must formally apply to the department through the Graduate School and receive early admission. The requirement for the Graduate Record Examinations is waived for combined degree applicants. Thirty credits of graduate level (800-999) course work (including dual credit courses) must be completed. Six to eight credits must be taken during the senior year, and are applied to both the B.S. and M.S. requirements. All other requirements for the M.S. degree must be followed. Limited financial support for the M.S. component of this combined degree program may be available through University Financial Aid or from the student's project advisor.